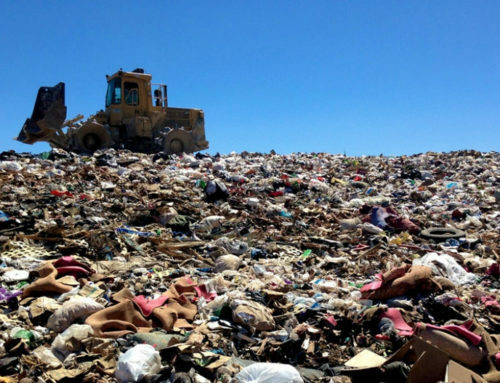 With an ever-increasing importance being placed on environmental issues, more and more people are taking a second look at how much waste they produce and how they can better dispose of it. Although responsibly disposing of smaller, common household items like cans, boxes, leftover food, and containers is relatively straight forward, it gets a bit more complicated once we arrive at bigger and more sophisticated items like furniture and electronics. One such item that always throws eco-friendly folks for a curve is mattress removal. Mattresses are an item that tends to find its way into the dump rather than a recycling center. Today we are going to look at the process of breaking down and recycling an old mattress responsibly. Old Mattresses for sale? I think not! Of all the different items you will find in a second hand store, you will almost never find a used mattress. In fact, most stores that deal with furniture re-sales will have a strict “no mattress” policy, and for good reason too. A study conducted by Ohio State University found that used mattresses typically have between 100,000 and 10 million mites living inside. These mites, who thrive in a warm, moist environment, feed on the dead skin cells that humans tend to shed at night. Additionally, ridding a mattress of all mites on a regular basis is an incredibly tough job even with all of the proper tools. That being said, you most likely wont see a ton of people lining up to buy mattresses second hand. While mattresses do contain components of a wide range of materials, most of them can be reused or recycled. Mattress frames and their springs are almost always made of wood and steel, organic materials that have been recycled for years. The stuffing of a mattress, whether it is cotton or foam, can be reused in a number of ways (for example, carpet padding, or furniture reupholstering). All mattresses are stored so that they are properly dried out and sorted. After they are sorted, all of the fabric is removed and bundled based on the type of material (i.e., cotton, fabric, wool, foam, etc.) For there, the bundles are sent elsewhere so that the material can be reused. From here, the steel springs are removed from the wooden frames. This process can be long and arduous to do by hand, so in most cases recyclers use a specialized machine that strips and bundles the springs for them. Once the springs are removed, the wooden frames are broken down and recycled. While it is obviously easier to just dump an old mattress in a landfill, properly recycling mattress has a significant environmental impact. Properly recycling or 10,000 mattresses can save 239 tons of CO2 from entering the atmosphere. That equates to planting 273 trees or taking 40 cars off the streets! That reason alone should be more than enough reason to research options in your area.